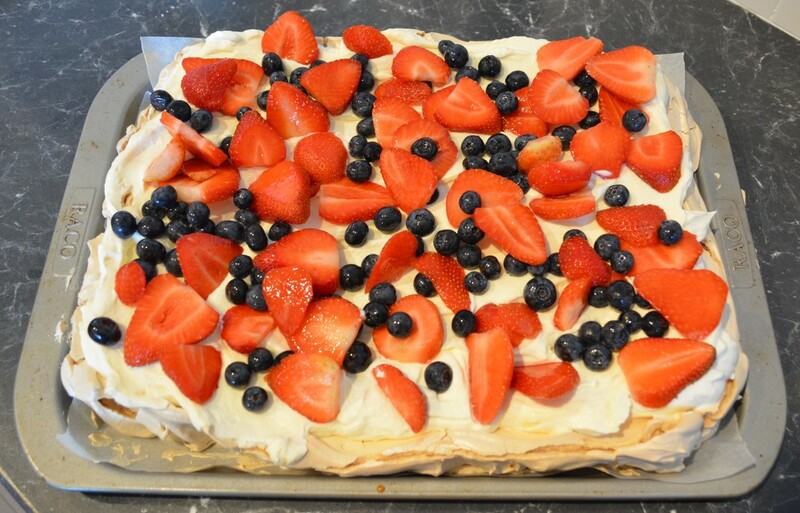 One year I asked my husband what cake he would like for his birthday, he requested a Pavlova. I'd never made one before as I wasn't really a fan of the cake. So I went searching for a recipe and came across this Julie Goodwin version, so I gave it a go. It was brilliant. 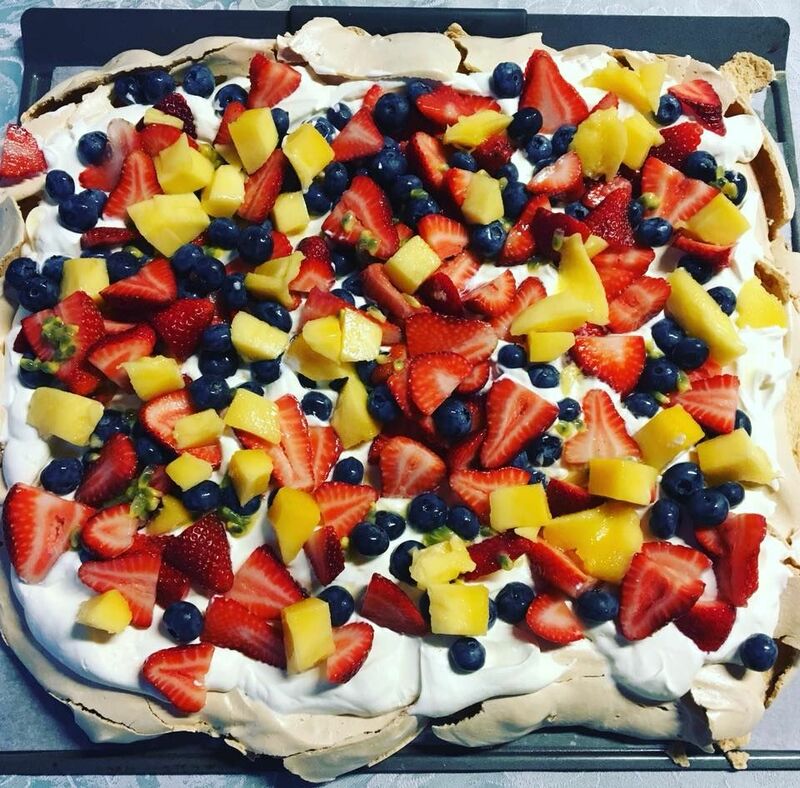 The ratio of meringue to cream in this Pavlova for me, is perfect, other Pavlovas always for me had too much meringue, not enough cream on top. 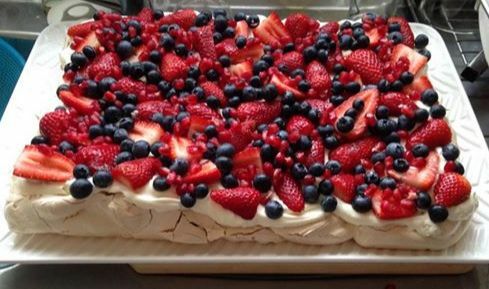 It is very simple to make, and as it is in a rectangular shape if the meringue isn't perfect no one will ever know, as the cream covers any cracks. 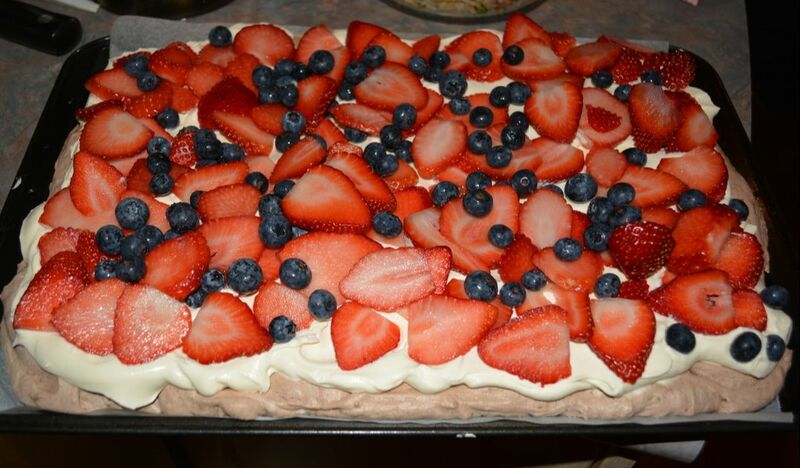 I have doubled the recipe when needed and made a really big Pavlova, it works perfectly doubled. You can make it smaller but with more height, if you prefer. 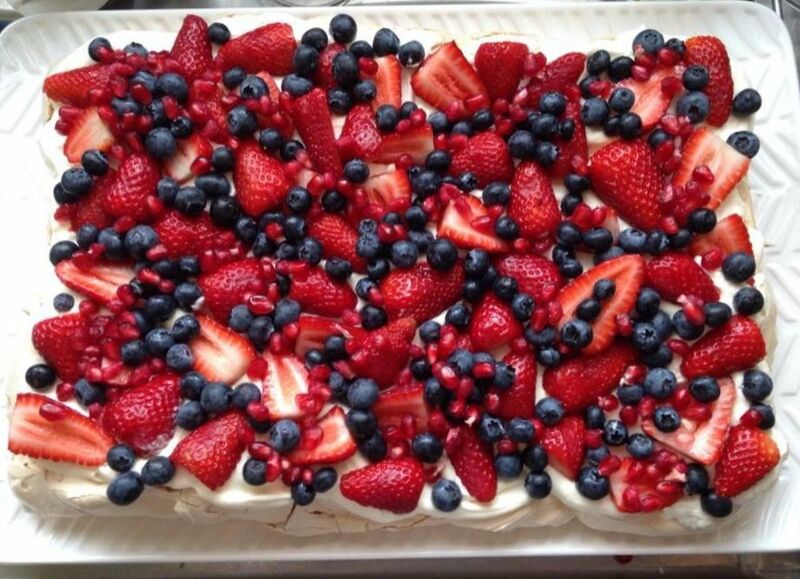 ​The combination of fresh fruit is endless. 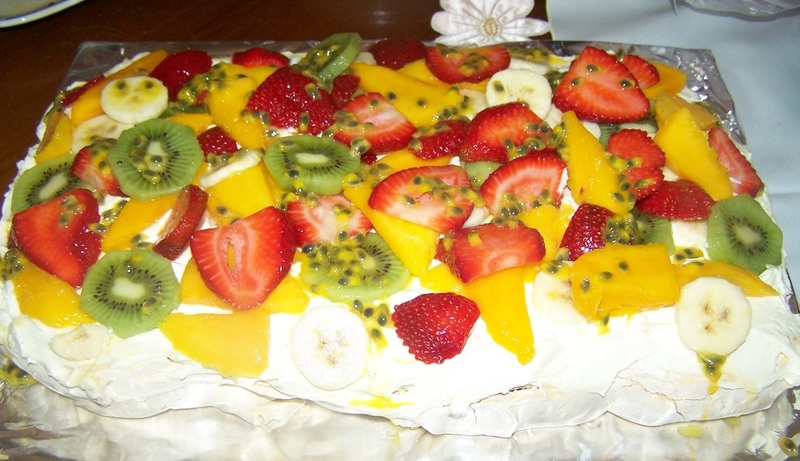 This Pavlova is delicious and a gorgeous way to finish a dinner party. Preheat oven to 170C/150C fan forced. Grease and line with baking paper a 38 x 25cm baking tray. Add the cornflour, vinegar and vanilla. Carefully fold the mixture until all is combined. 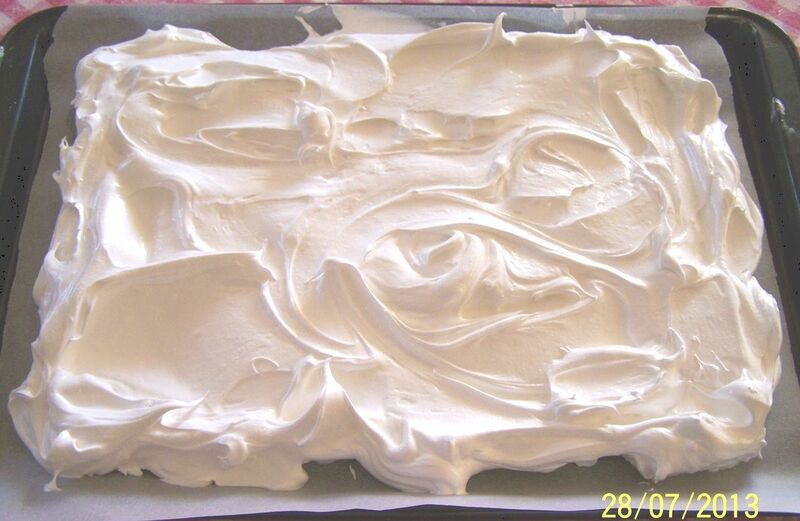 Spread the meringue onto your baking tray, leaving a 1-2cm border from the edge of the tray. Bake for 30 minutes, then reduce the temperature to 140C/120C fan forced and bake a further 40 minutes. 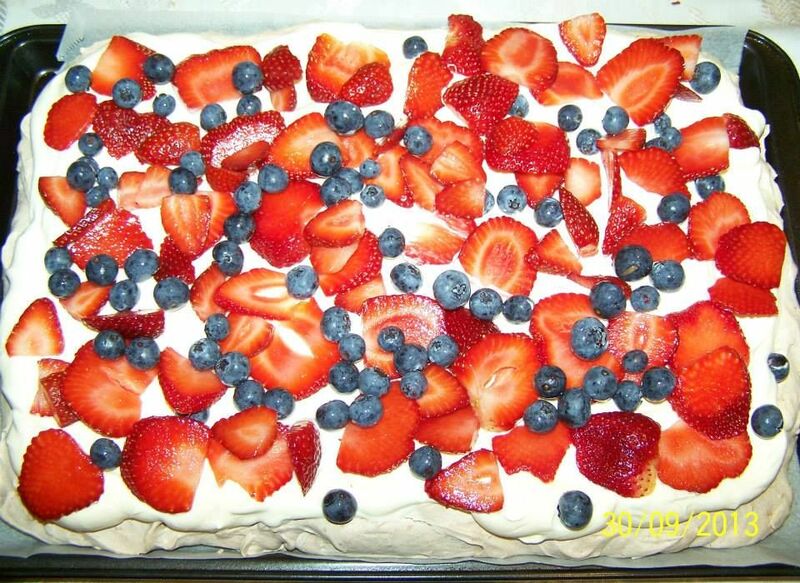 Turn off the oven, slightly open the oven door and allow the Pavlova to completely cool in the oven. The combinations of fruits you can use are endless. 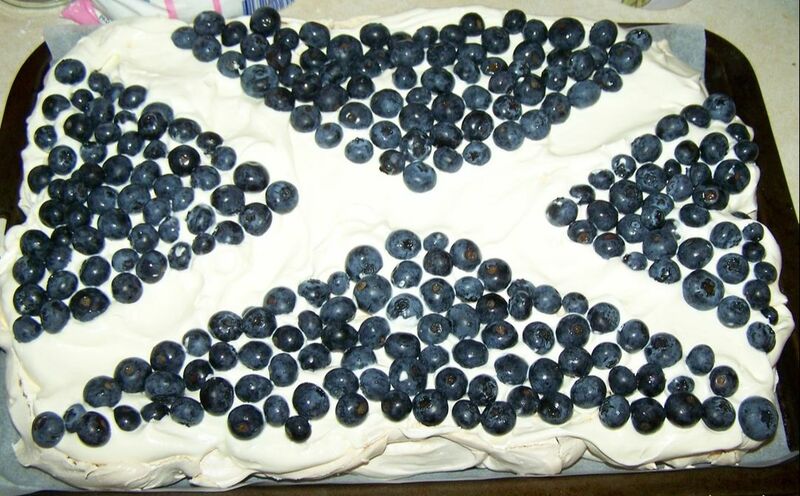 For my Scottish guests I transformed our Aussie Pavlova into a Scottish Flag.